Kineshma, The view from the river port. This settlement has preserved its medieval downtown, and today it’s a popular destination for travelers. How did Russian merchants live centuries ago? Not many places in the country have retained their original ancient architecture. 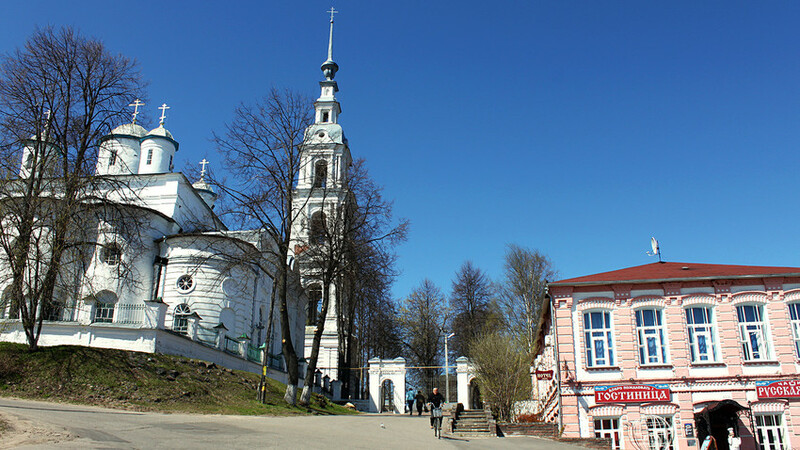 The 15th century city of Kineshma in the Ivanovo Region (400 km north-east of Moscow) is an exceptional place that attracts thousands of tourists each year. 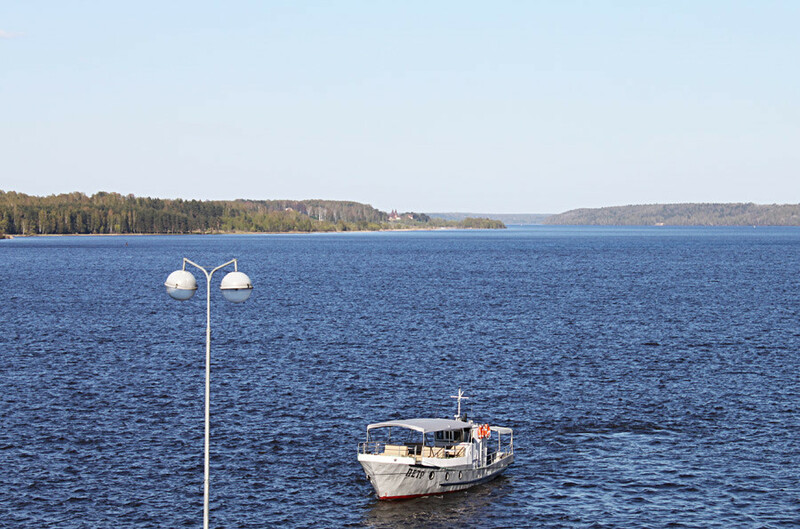 Starting in May, cruise ships stop here for between three to 18 hours – and it’s an exceptional stop during your Volga voyage. You must see these interesting sites! Kineshma survived plunder by the Mongols, Ivan the Terrible's oprichnina, Polish invasion, and it emerged from the Great Patriotic War unscathed. Even though the wooden city burned down a number of times, many stone buildings have survived in rather good condition, as well as the original street layout. Kineshma's downtown is included in Russia’s list of historical sites, so you literally are taking a trip to the 18th century. Besides imposing churches, take a look at the typical two-level merchant houses: the first floor is made of stone and was for domestic needs. The owners lived on the upper wooden floor, which was much cozier and warmer. 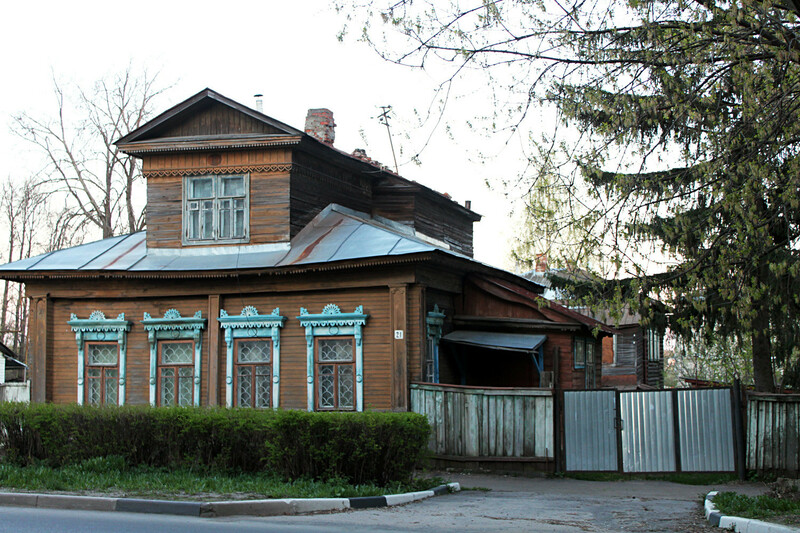 You can find many such buildings on Lenin Street, some of which are still now used. 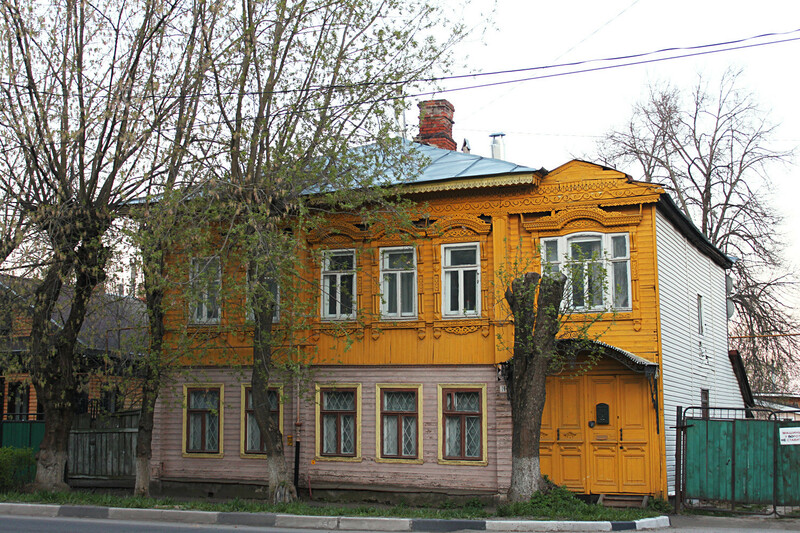 There are unusual houses. 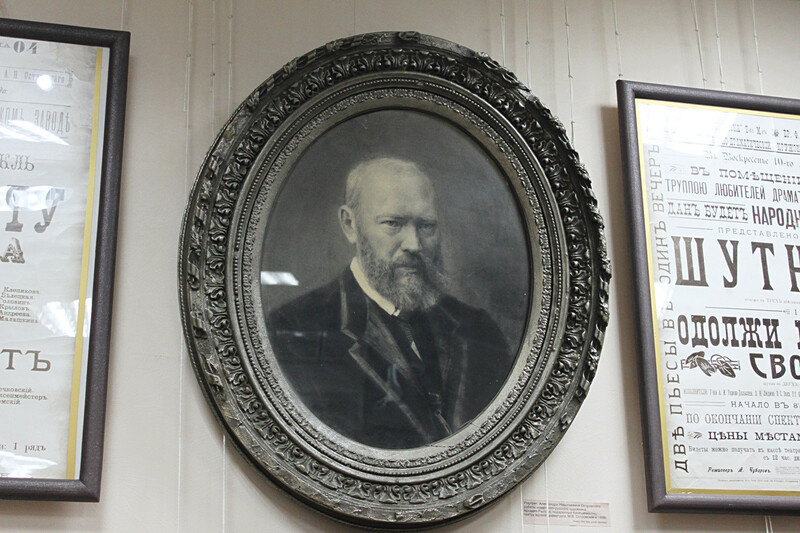 For example, the buildings on Sovetskaya Street (29-33) once belonged to Pyotr Baranov, “the city’s owner,” as he was called at the end of the 19th century. This estate was designed in the Russian-Byzantine style and decorated with elements typical for houses of Old Believers. 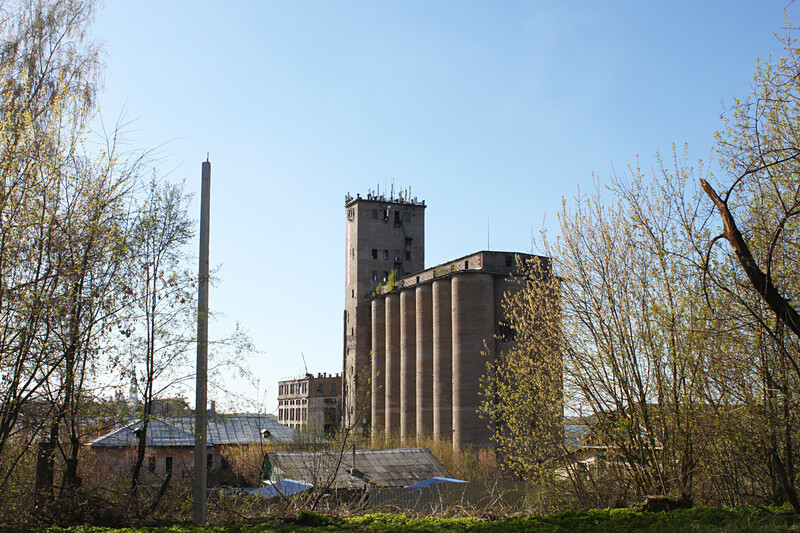 When walking around the city you will notice red brick smokestacks and factories that hark to the era when Kineshma was famous as a city of artisans who made textile and leather goods. Local historians say that even Admiral Nelson sailed under a Kineshma-made sail! “Kineshma” translates as “deep dark water.” Indeed, water has long been important for the city's commerce and life. The main pedestrian street took its name from the local river. Volzhsky Boulevard, right above the Volga Embankment, begins from the river port and goes through the main sites. 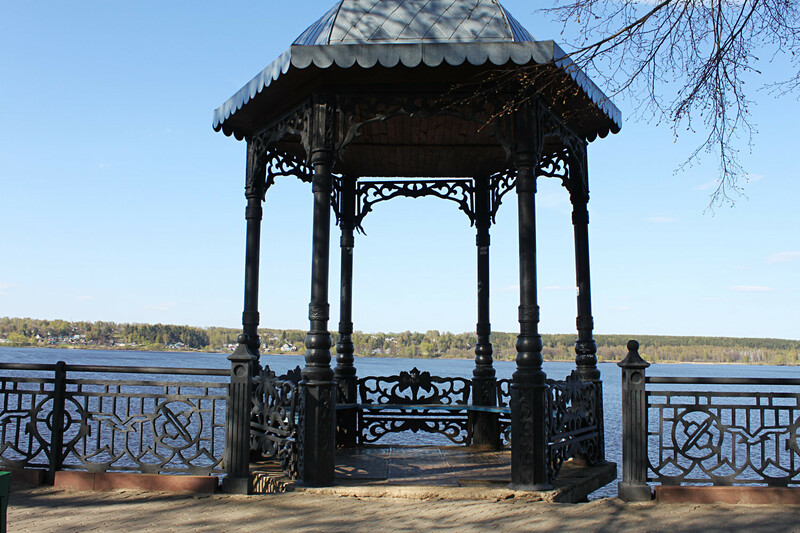 The boulevard is a favorite walking path for locals and tourists: enjoy the charming view of the calm Volga and have a rest in one of the gazebos. Here you'll find restaurants with Russian cuisine and local delicacies: Kineshma deep-fried pies with meat and broth. The museum on Frunze Street 6 was opened in 2012 by the Sokolovs, a family of local artisans. It's the country’s largest collection of valenki! 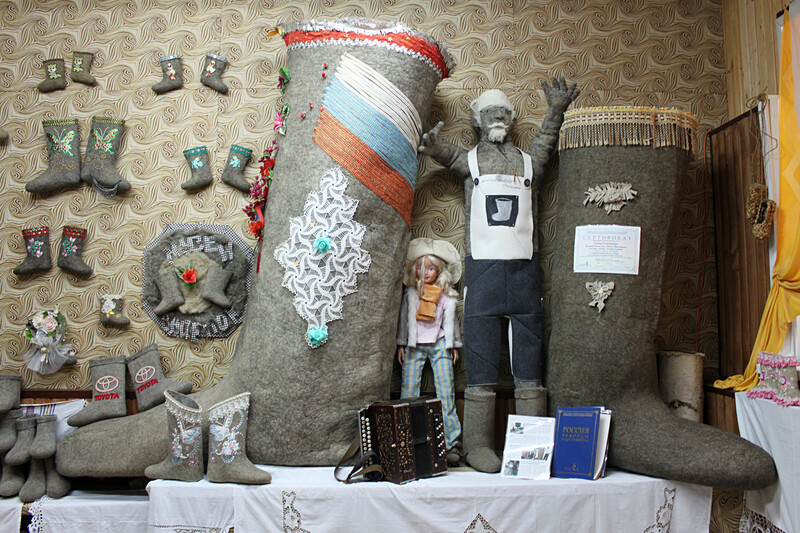 Valery Sokolov created the smallest Russian winter boots in the world – only 6 mm; and the tallest has a height of 168 cm. Do you know the Russian legend about ‘Lefty who shod a flea’? 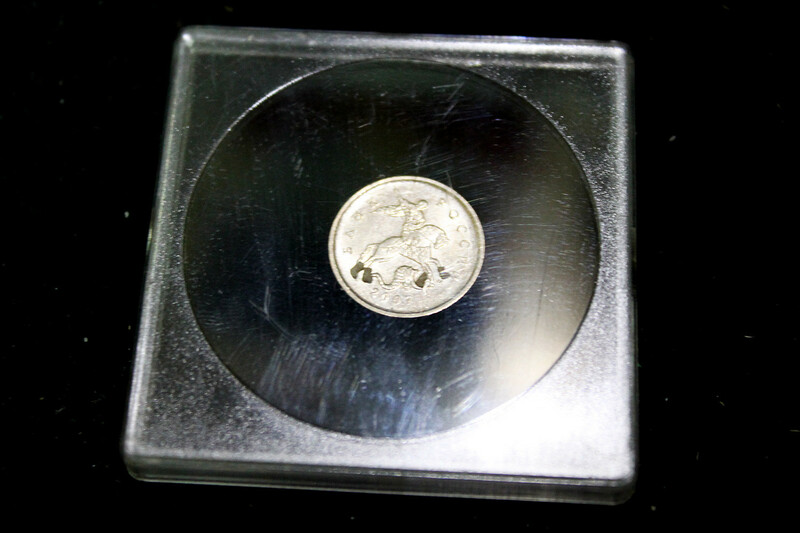 Well, Valery shod a horse on a one-kopek coin. Have you ever seen such boots? See how valenki are handmade, from combing the wool to the finished boots. Tours are given by Valery’s daughter, Svetlana, who also makes valenki with her sister, and she also reveals the secrets of homemade valenki manufacturing. The view on Kineshma from the other side of the Nikolsky Bridge. On the other side of Nikolsky Bridge is a district called “America,” which got its name in the early 20th century. According to legend, it was separated from the center by a dense forest, and the way there was not easy – just like to America. Also, rich peasants found refuge here after they had been dispossessed elsewhere. They were considered 'rich immigrants,' as in America. 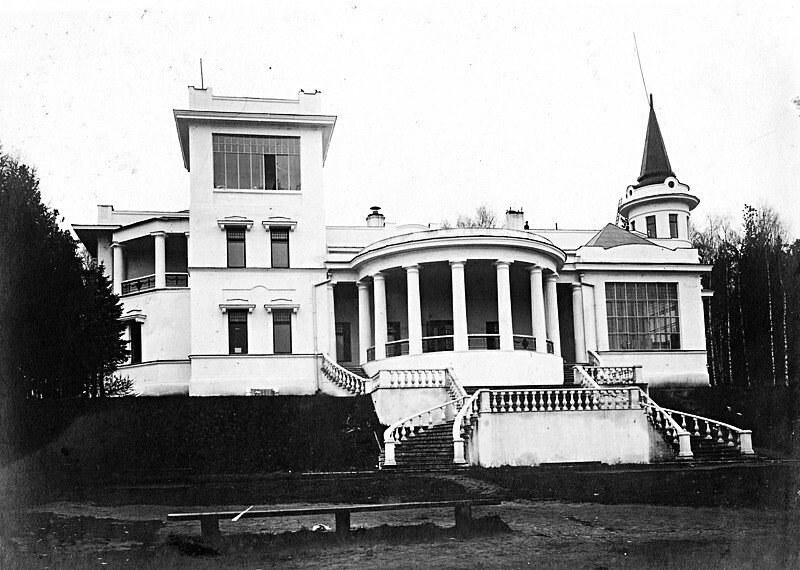 The 1904 Otrada (“Delight”) estate owned by industrialist Pyotr Sevrugov is one of Kineshma's most interesting buildings. In vintage photos you can see the impressive marble stairs, high windows, and semi-circle verandas with columns. Today, only the veranda floor tiles are original. After 1917, Sevrugov left for France, and his luxurious house first became the communal apartments and then a public recreation center. Since the 1990s, the house has been empty and awaits renovation. That's what the villa looked like in Soviet times. The estate on the Volga also makes a creepy and mystical impression. Some residents say they've seen ghosts, and in 2013 a group of psychics visited the mansion to investigate. 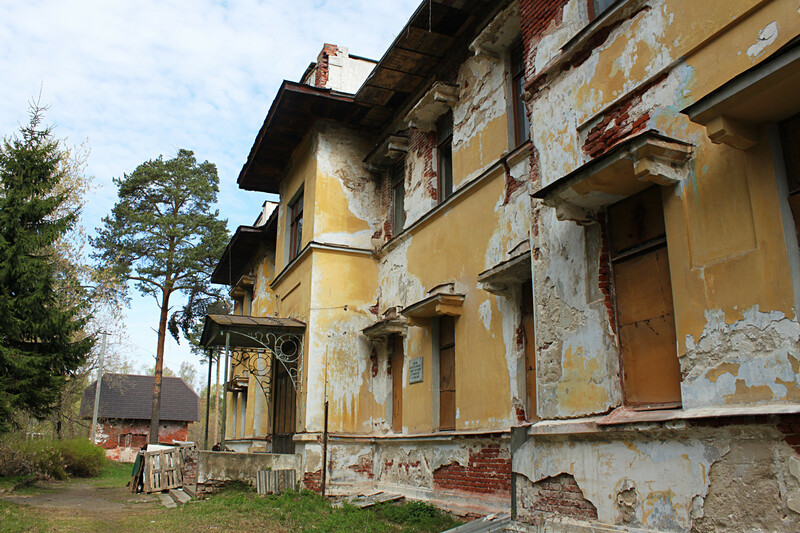 The locals hope the once beautiful estate will be restored and brought back to life. The house, where Ostrovsky lived and wrote his plays. 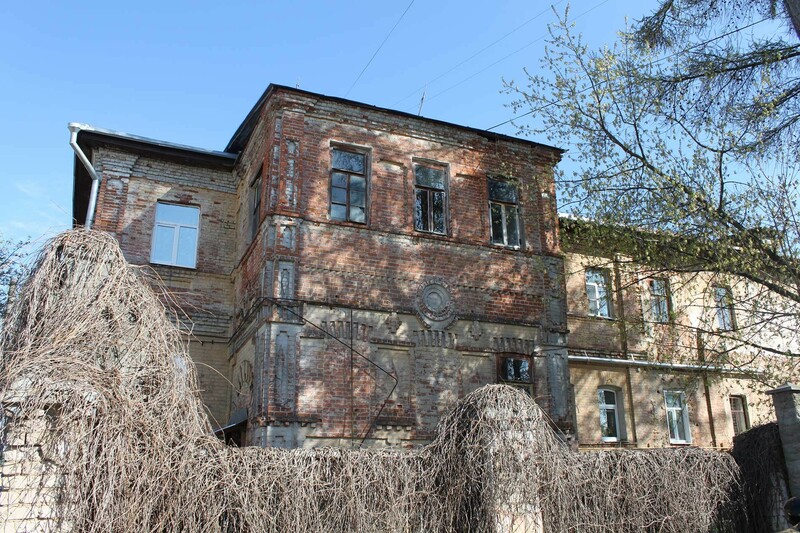 If you like classical Russian theater, don’t miss Ostrovsky’s mansion in Schelykovo, where the father of Russian dramaturgy wrote most of his plays. As a local court judge, his stories were based on real cases that he heard and the real lives of merchant families. 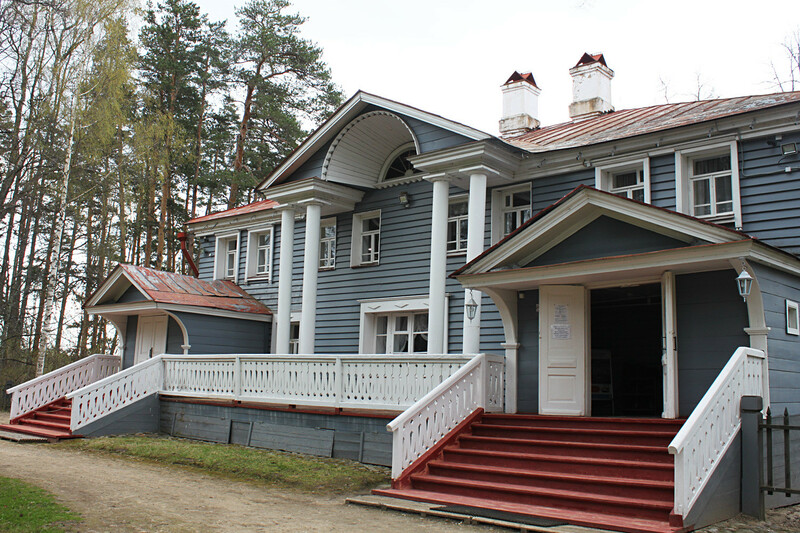 The museum in the Alexander Ostrovsky drama theater in Kineshma. Local residents honored the great author by naming a theater in his honor and which opens every season with his play. The writer and his family are buried in the churchyard in Nikolo-Berezki, near his estate. The Volga embankment and the boatel. 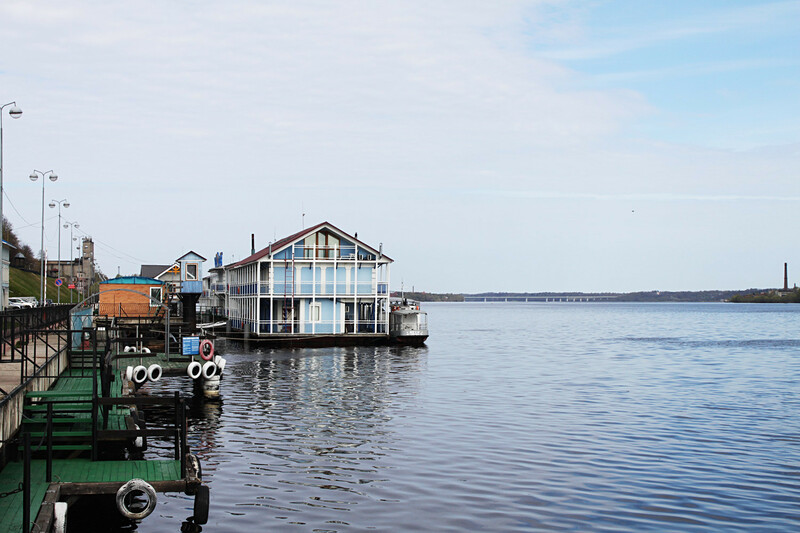 So captivated was Ostrovsky by the natural beauty of this place that he called it the "Volga Switzerland": the high riverbanks, picturesque forests and cozy houses. If you love nature then start with a walk in the pine forest near the rail station. You can also drive to Yurievets, where film director Andrei Tarkovsky was born, and visit his museum and walk around. If you want to see more, then explore the Volga by boat. From May to September, there are tours along the river. If you have a whole day, take a cruise to Plyos, the place that inspired Russian artist Issak Levitan. You can book cruises and tours at the tourist center (Sovetskaya St., 1 / 2).